Approx. 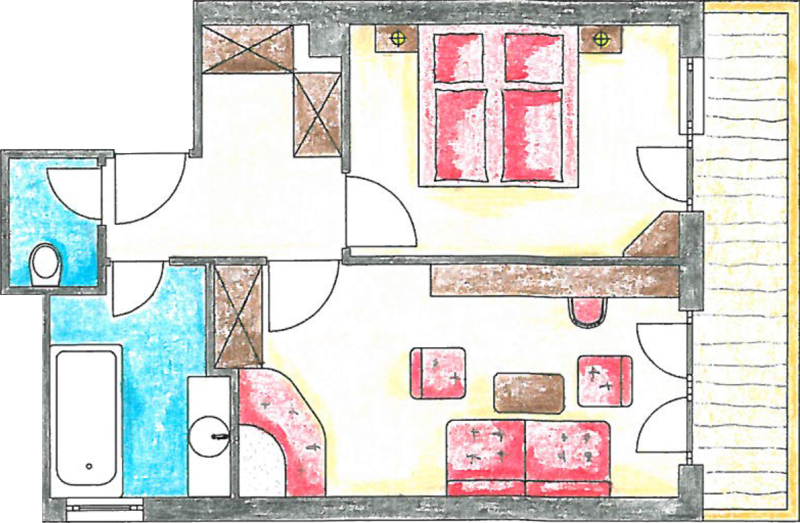 48 m² (517 sq.ft.) 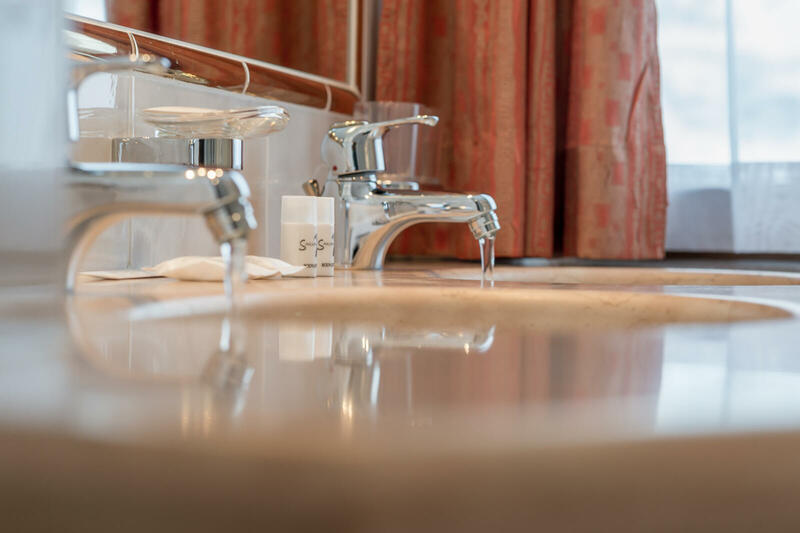 leave nothing to be desired in the Jagdhof Suite. 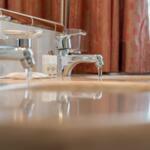 Enjoy luxury, room and a little more of everything - you're worth it. 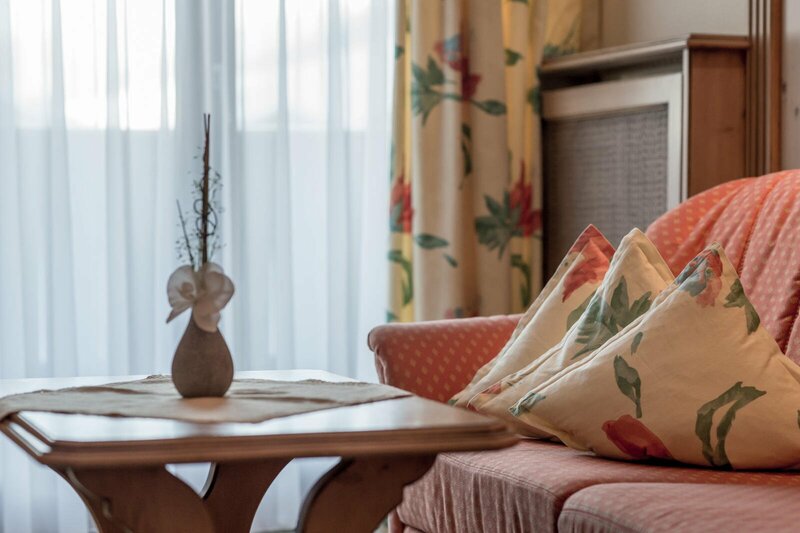 Your Jagdhof suite's private balcony ensures your privacy. You access the balcony both from the bedroom and the living room. 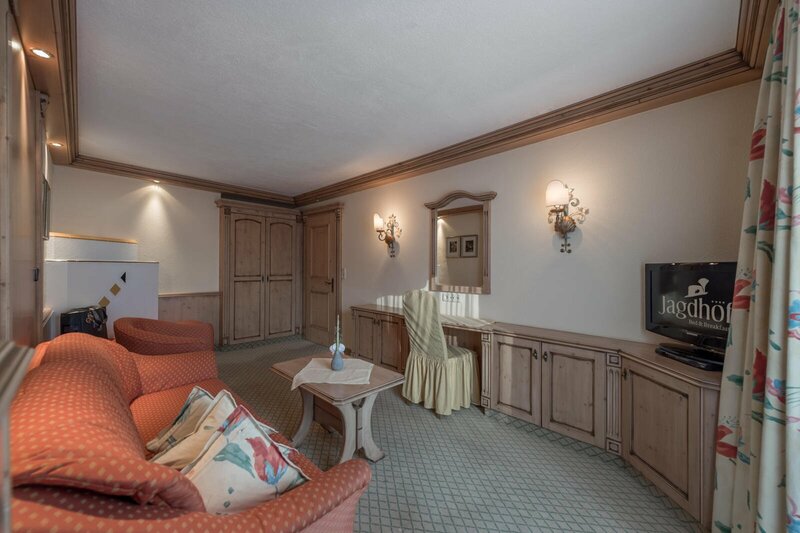 The ante room of the Jagdhof suite offers plenty of storage space. Bathroom and WC are separate. 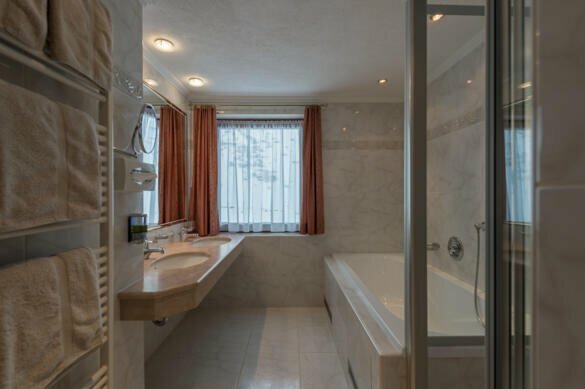 The spacious bathroom offers two basins and a whirl bathtub, and, of course, standard equipment such as hair dryer, make-up mirror and snuggly towels. Make yourself at home on the couch or in the armchair in the living room. Entertainment is ensured by satellite TV and radio. We don't even have to mention the safe and phone. - all available in the suite. 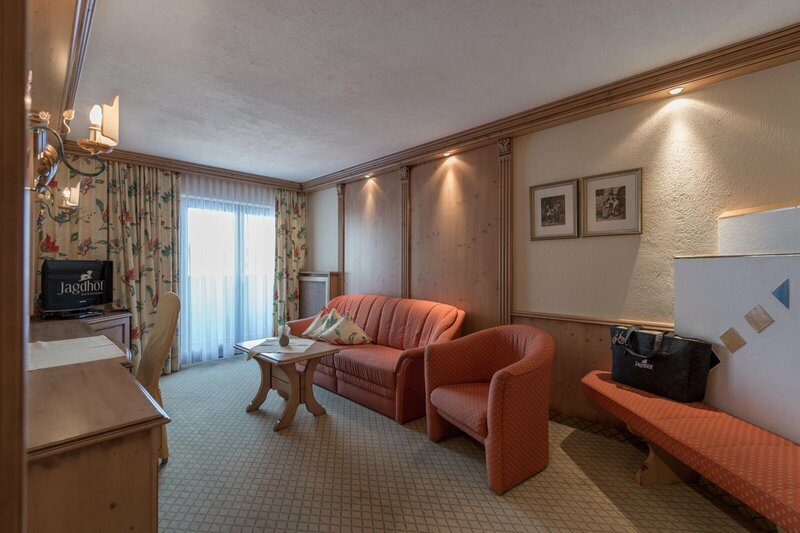 Whether there is two or four of you, there is no shortage of space in the suites in the ski area Obergurgl-Hochgurgl. Your children can sleep in the living room while you spend an undisturbed night in the double bed. 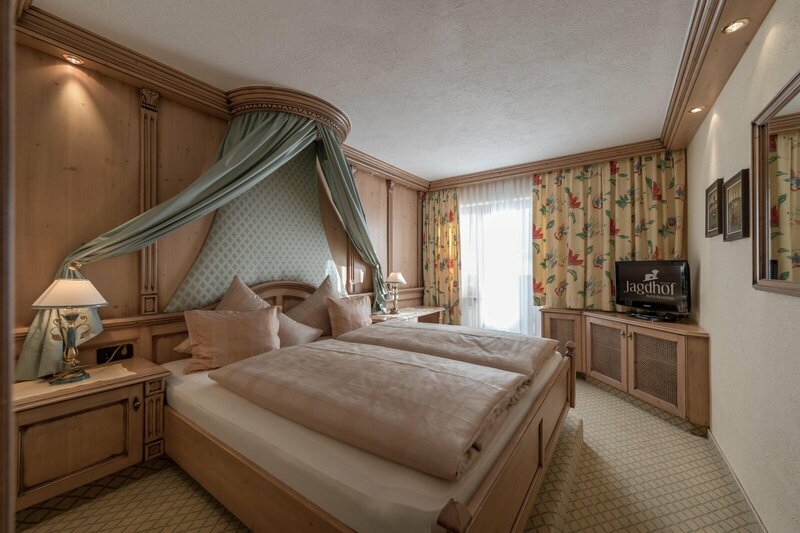 Take a look at the pictures - the spacious Jagdhof suite will convince you!